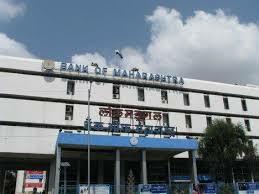 PUNE: Employee Share Purchase Scheme (ESPS) issue of Bank of Maharashtra was opened for subscription of equity shares by its employees. Bank had offered 10 Crore Equity Shares to its employees under the scheme. The ESPS issue received overwhelming response from the employees of Bank and same was fully subscribed. This shows commitment & sense of belongingness of employees towards the organization. The Capital raised through this ESPS issue will help Bank to grow further in addition to improvement in Capital & CRAR.